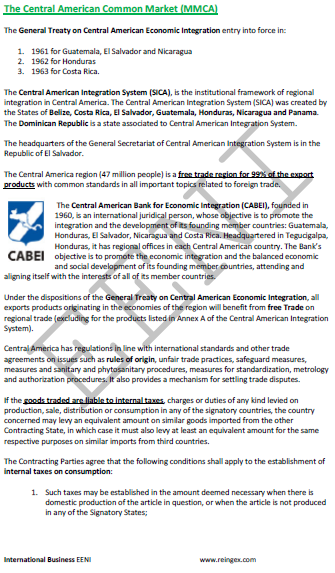 Syllabus of the Online Course (Subject): Economy and Foreign Trade of Central America. Panama, Guatemala. 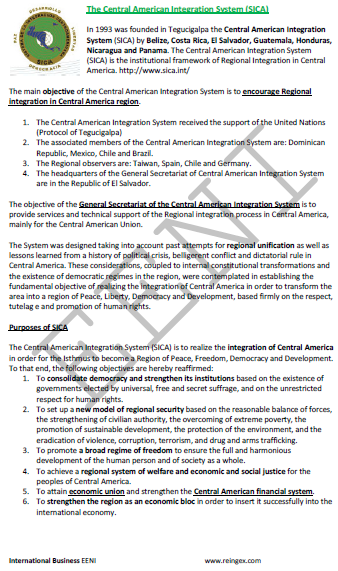 The Central American region consists of Guatemala, Belize, Honduras, El Salvador, Nicaragua, Costa Rica, and Panama. 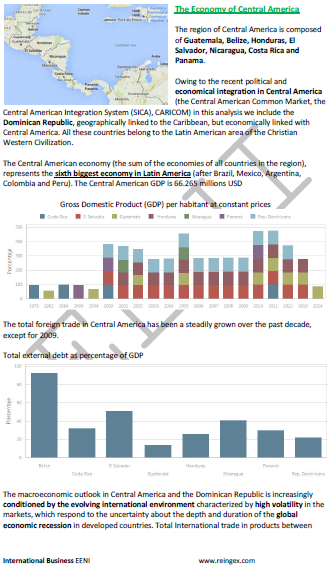 Owing to the recent political and economic integration in Central America (Central American Common Market, Central American Integration System (SICA), CARICOM) in this analysis we include the Dominican Republic, geographically linked to the Caribbean, but economically linked to Central America. All these countries belong to Latin American Economic Area of Western Christian Civilisation. The Central American Economy (the sum of the economies of all countries in the region), represents the sixth largest economy in Latin America (after Brazil, Mexico, Argentina, Colombia, and Peru). Total International Trade in goods between Central America markets and the rest of the world has been developed positively in recent years. The Central American region has a population of 41,739 million people, and an area of 522,760 square kilometres (1% of the World area).